Here we go again! 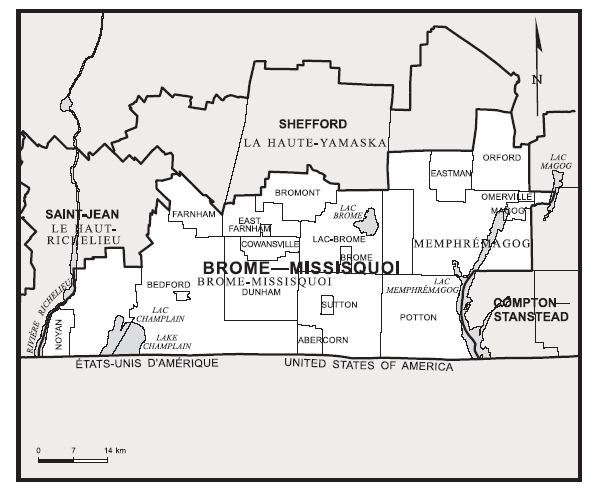 Another Federal election and here in Brome Missisquoi we have another chance to stand up and be counted. You've read the newspapers and watched the debates as the leaders swarmed and mugged the Prime Minister and now it's time to make up your own mind. Will Brome Missisquoi go for the dark blue or the pale blue? Will it be the red or the green? Just like Autumn, we have a full pallette of colors to choose from! On Friday October 3rd, 2008 the Chamber of Commerce of Brome Lake invites the residents of Brome Lake and the surrounding region to meet all six election candidates at the Lakeview Inn, situated at 50 Victoria St., at 7:15 pm. There will be no debate but rather a “7 minutes open-mike” for each candidate followed by a question period, in a bilingual setting. Mr. Michel Green, lawyer, will be the moderator of the evening. Be present to be sure to make an informed decision on Election Day about who can best represent you! Don't be lazy! Come out on Friday October 3rd, 2008 meet all six election candidates at the Lakeview Inn, situated at 50 Victoria St. in Knowlton (Brome Lake), at 7:15 pm. 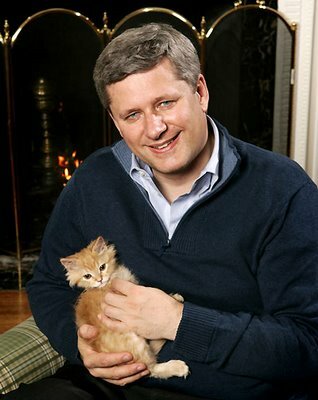 After all that's happened in the last few years in Canada and Quebec how could anyone contemplate not voting for the guy holding a kitten!! Good luck Mr. Harper; may the best kitty-loving Canadian sweetheart win by a dark-blue landslide!